Studio A is committed to creating employment opportunities for artists with intellectual disability, this includes managing and brokering professional relationships and commission opportunities for our artists. We welcome any enquiries about commissioning artwork by Studio A artists. Our artists work in a wide variety of mediums and styles and after negotiating subject, medium, size and finish with our Artistic Director, we will assist you in choosing the artist who would best fit your commission. 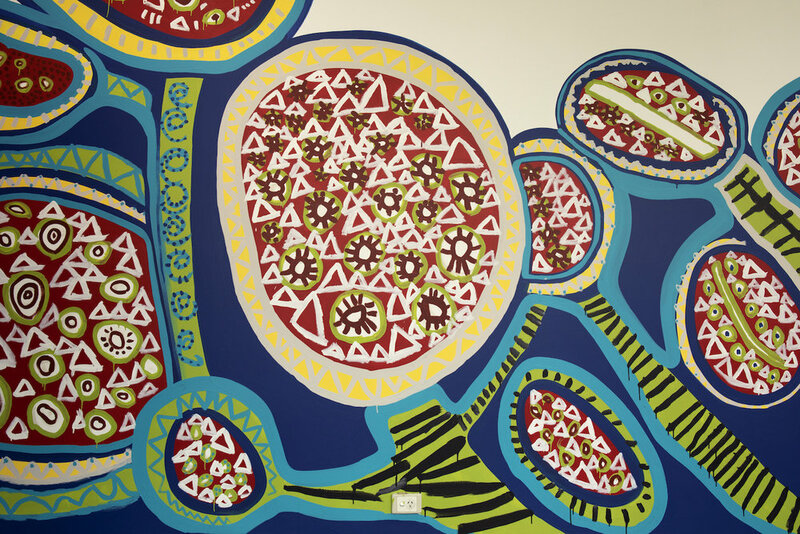 Months in the making Emily Crockford’s beautiful 39 metre long mural for Westpac Concord was completed in October 2018. Produced in collaboration with Group GSA, the design and colour palette was inspired by the natural environment and includes one of Emily's favourite motifs, the mandala. Emily worked side-by-side with muralist Meg Minkley to complete the painting in just over a week. This series of Australian animal masks created by the Studio A Props Collective were commissioned by director Thomas Avery to be worn by actors in an upcoming film project, November 2018. 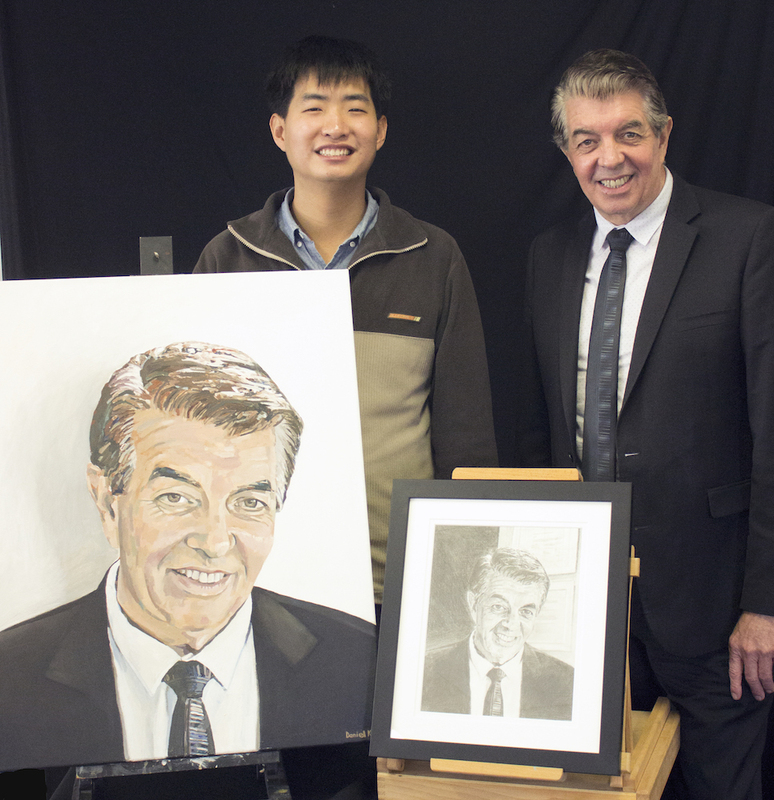 The Honourable John Ajaka, 2016, by Daniel Kim - portrait of President John Ajaka (former Minister for Disability) commissioned by the Department of Family and Commuity Services (FACS). Daniel Kim, commissioned portrait of the Hon. Ray Williams MP, Federal Minister for Disability Services, 2017, oil paint on canvas. Emily Crockford Sydney Opera House image applied on construction hoarding at Barangaroo, Sydney CBD, as part of the City of Sydney Hoardings initiative, June 2018.